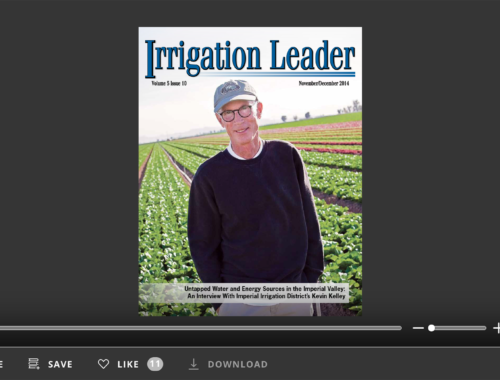 October 2015 marks the fifth anniversary of Irrigation Leader and the 51st issue of the magazine. 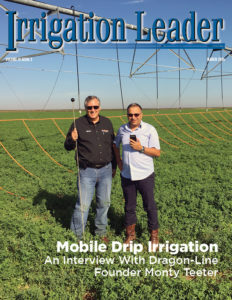 A great thank you is owed our readers, advertisers, and, most importantly, the many exceptional men and women in irrigated agriculture who have shared their time, solutions, and ideas to make Irrigation Leader successful. 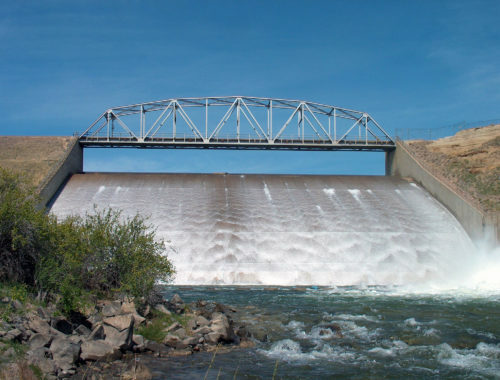 Most of the credit for the idea of the magazine must be given to two individuals, Richard Lemargie, attorney for the Columbia Basin Irrigation Project, and Mike Dwyer, executive director of the North Dakota Water Users Association. Richard phoned me a few months after the end of the Bush administration, when I finished serving as the deputy assistant secretary for water and science. Richard said, “I have been thinking about your skill set and your access to information. You have a country way of speaking, and people trust you. I think you should do a newsletter.” Richard then talked about a few newsletters to which he is a paid subscriber and provided them as examples. I appreciated his call and liked the idea, but I wasn’t sure how I could make the numbers work. Some time after that, I attended a meeting of the Upper Missouri Water Users Association and sat at a table next to Mike Dwyer. Mike is also an attorney, as well as a farmer and an astute businessman. Mike talked about the magazine he established called North Dakota Water and said, “You know, Kris, if you ever want to do a magazine together, we can do that.” So we talked about the idea and about paid advertisers versus paid subscribers as a business plan. To this day, we use Mike’s company, Clear Water Communications, to format the magazine. The first issue took an entire summer to put together. Many people contributed their ideas and time in discussing article concepts for the magazine. For the first cover, I wanted a photo of a pivot corner system, because it looks like something from a Star Wars movie and is representative of modern irrigation methods and thinking. Our first writer was John Chisholm, a former intern of mine at the National Water Resources Association during his college days. He had moved back to Virginia to attend law school at night, and he did an excellent job of writing the magazine for the first couple years before moving on to a great law-related opportunity. John Crotty, our in-house attorney, is our senior writer. He does an outstanding job writing the magazine as well as providing legal commentary from time to time. 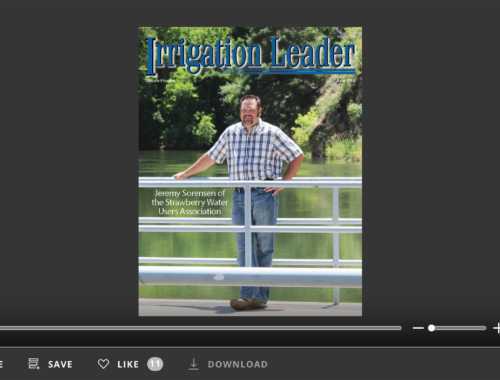 From the beginning, the goal of the Irrigation Leader magazine has been to shine a light on those individuals whose ideas, solutions, and tremendous hard work provide irrigation to grow the needed food and fiber of our country. We thank you for your leadership and support, and we look forward to serving you for the next five years and 50 issues and beyond.